A celebration in pictures and words of the arresting beauty of the landscapes of Namibia and of the centrality of land in the culture, history, politics and daily lives of its people. The book seeks to uncover the rare essence that marks the landscape of Namibia apart from all others. Few countries in the world are richer than Namibia in its canvas of natural beauty. The landscape is one of rich and often harsh contrast with many changing moods. A journey through its landscape is infinitely rewarding. Within this book this progression is depicted. The dramatic scenery of remote deserts, mountains, mystical trees and stormy shores are the equal of any. 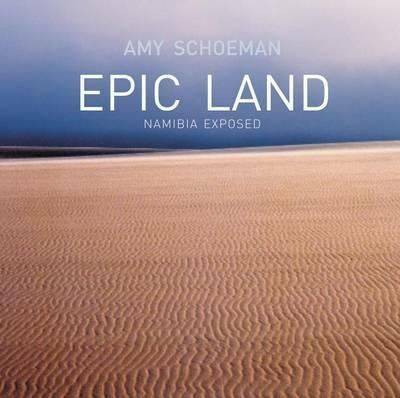 Through her captivating photographs and absorbing text, Amy Schoeman shares with the reader the strange beauties of her life's passion. The superb photographs capture the life of the desert, its forms and colours, and the moods of its ever-changing landscapes.